Chicken and waffles is a popular breakfast dish, so when I heard about chicken and biscuits it was something I wanted to try. 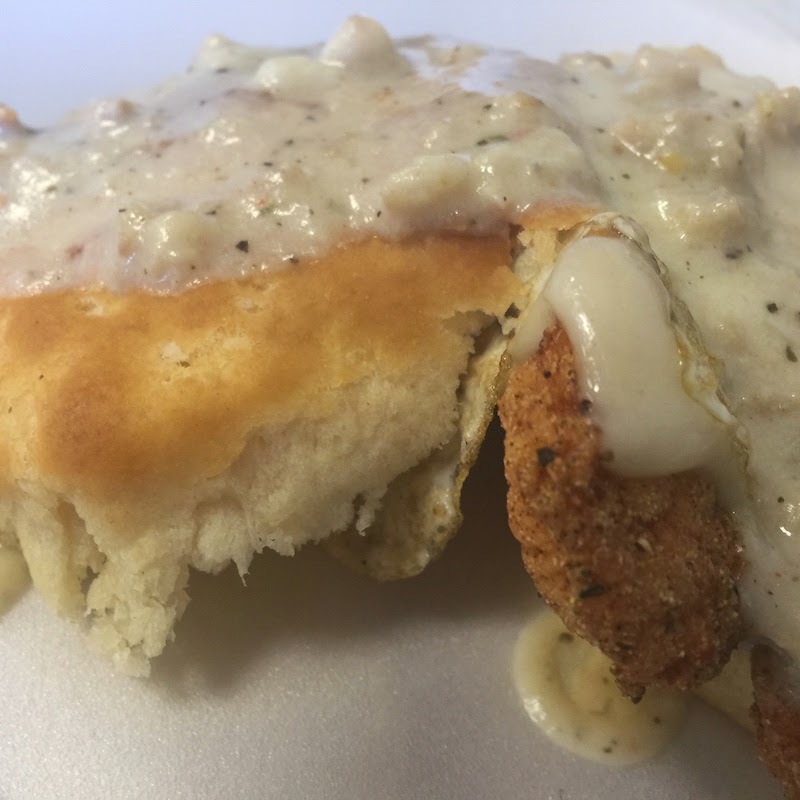 Read my review of the State Street Biscuit at Dixie Supply Bakery and Cafe in Charleston, South Carolina after the break. 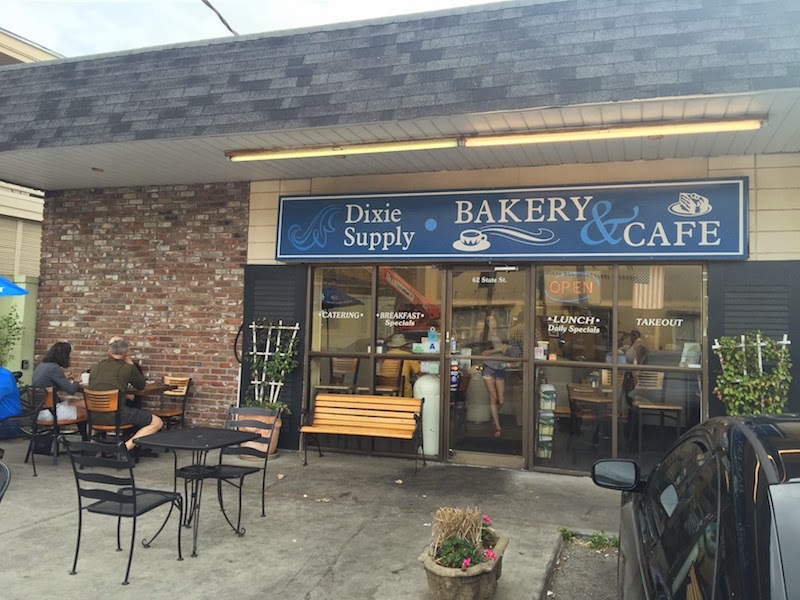 I arrived at Dixie Supply just as it opened at 8 AM, and immediately there were several people in line. And there were always a few people in line the entire time I was there. 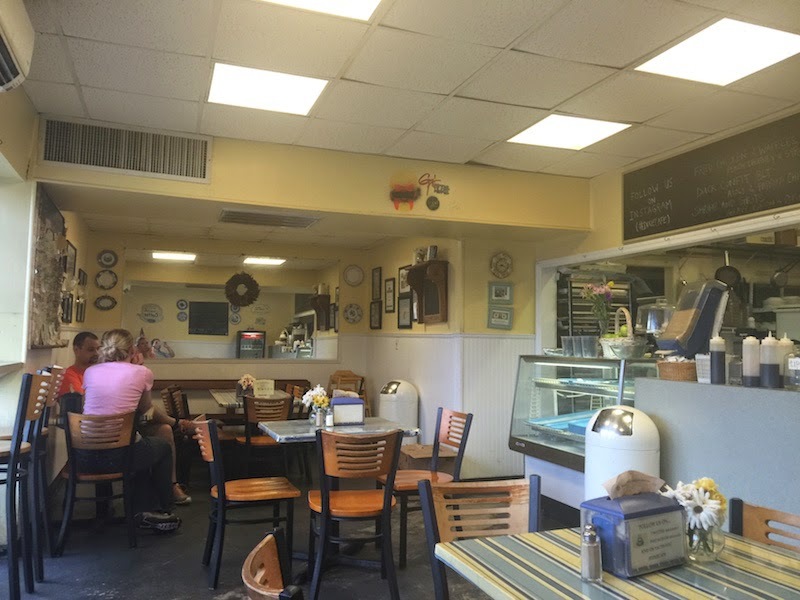 This seems like a place where Charleston locals come for a good breakfast. Dixie Supply was on Diners, Drive-Ins and Dives on Food Network. 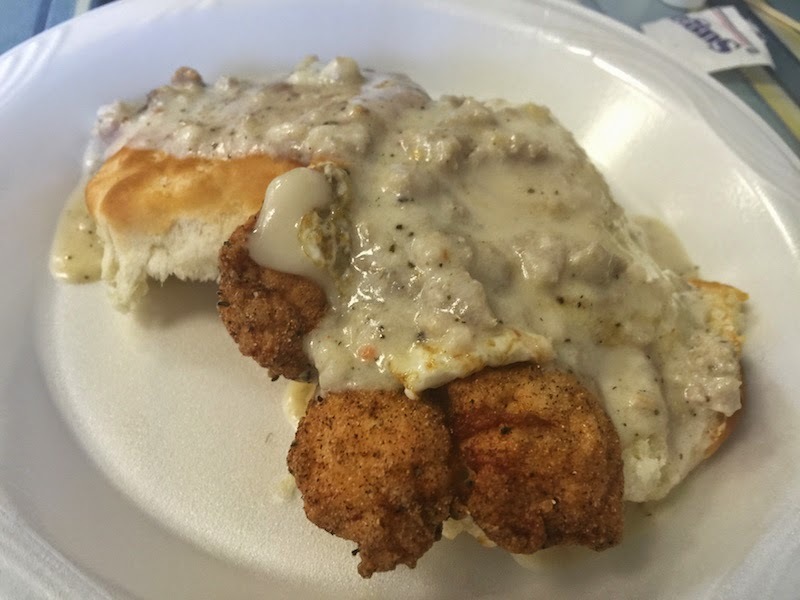 Guy Fieri had the chicken fried biscuit so that's what I got. The chicken is strips of white meat, so you don't have to work around any bones. The biscuit is fresh and fluffy. There's also Swiss cheese. The gravy is especially good. It's meaty and nicely seasoned. I really enjoyed this breakfast. I also had a cup of the maple pecan coffee. I could really taste the pecans. TIP: Dixie Supply is located on the edge of Charleston's French Quarter, so enjoy a walk to look at the historic buildings and along the river.